IP Result of anti-DNA2 (IP:21599-1-AP, 4ug; Detection:21599-1-AP 1:300) with HEK-293 cells lysate 2600ug. 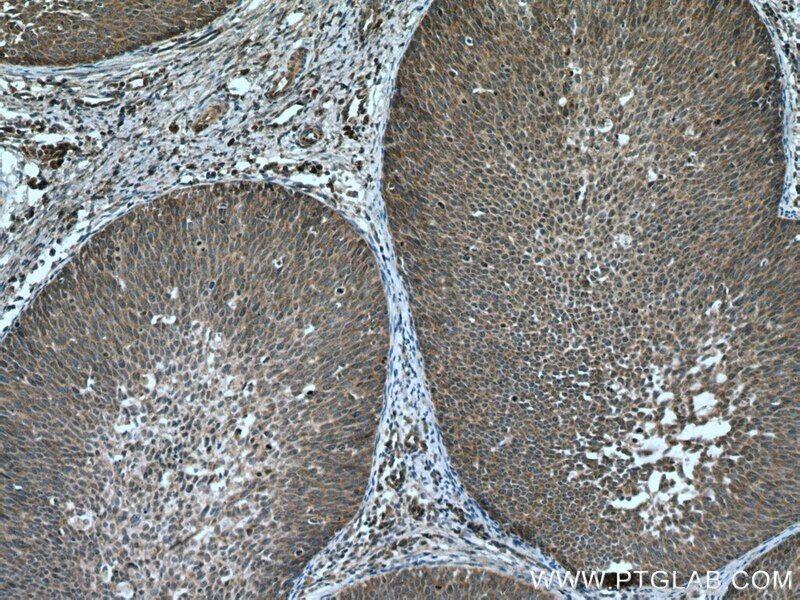 Immunohistochemical analysis of paraffin-embedded human liver cancer tissue slide using 21599-1-AP (DNA2 antibody) at dilution of 1:200 (under 10x lens) heat mediated antigen retrieved with Tris-EDTA buffer(pH9). 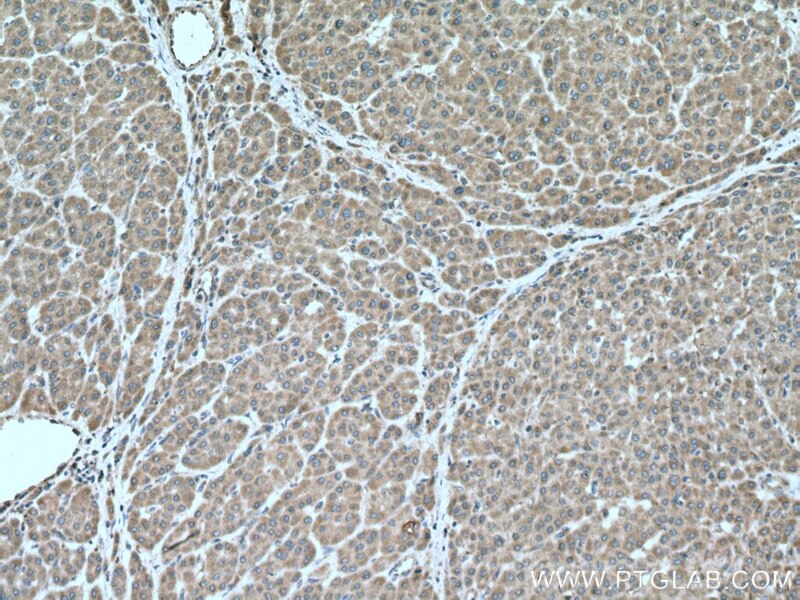 Immunohistochemical analysis of paraffin-embedded human liver cancer tissue slide using 21599-1-AP (DNA2 antibody) at dilution of 1:200 (under 40x lens) heat mediated antigen retrieved with Tris-EDTA buffer(pH9). DNA2(DNA replication ATP-dependent helicase/nuclease DNA2) is also named as DNA2L, KIAA0083 and belongs to the DNA2/NAM7 helicase family. This protein includes 2 domains: DNA replication nuclease and DNA replication ATP-dependent helicase. It is a conserved helicase/nuclease involved in the maintenance of mitochondrial and nuclear DNA stability and it can interact with DNA polymerase gamma and stimulating its activity. It can also process intermediate 5' flap structures occuring in DNA replication long-patch base excision repair in mitochondria. It has 4 isoforms produced by alternative splicing. 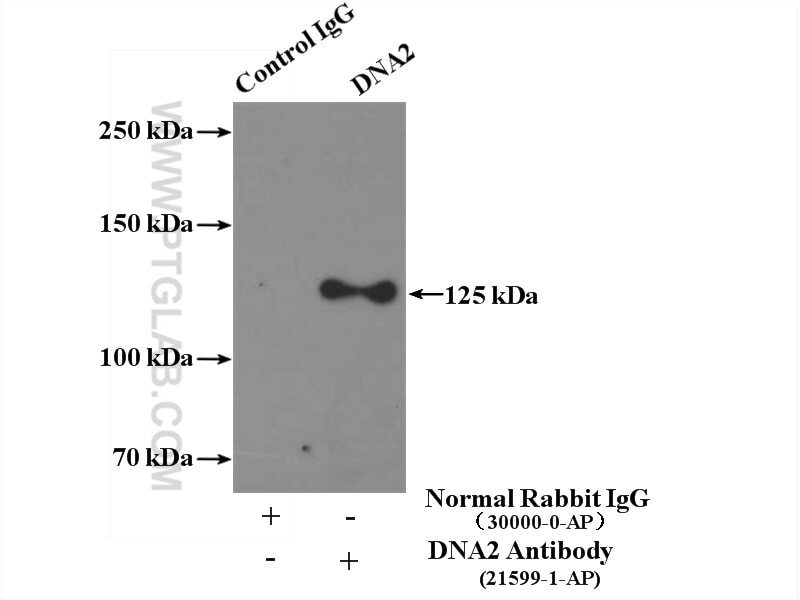 This antibody is specific to DNA2. 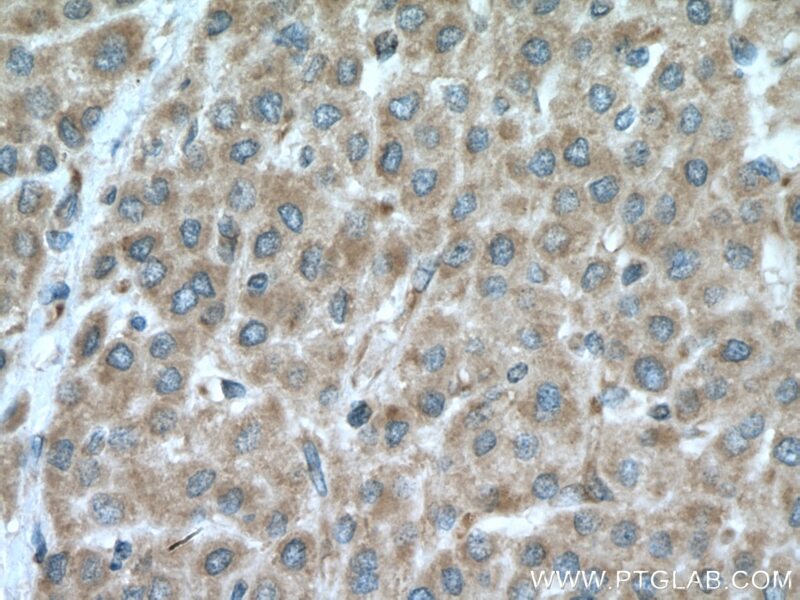 Immunohistochemical analysis of paraffin-embedded human cervical cancer tissue slide using 21599-1-AP (DNA2 antibody) at dilution of 1:200 (under 10x lens) heat mediated antigen retrieved with Tris-EDTA buffer(pH9). 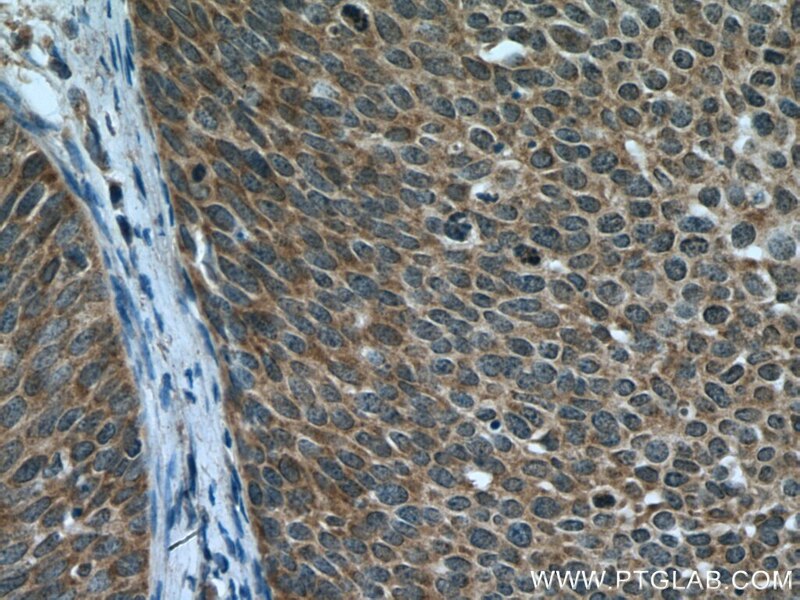 Immunohistochemical analysis of paraffin-embedded human cervical cancer tissue slide using 21599-1-AP (DNA2 antibody) at dilution of 1:200 (under 40x lens) heat mediated antigen retrieved with Tris-EDTA buffer(pH9).